If this is your first time to my blog then welcome and I hope you like and enjoy here. 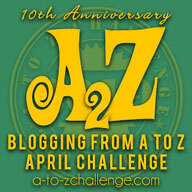 Lastly, don't forget to go say "Hi" to all the lovely people who have participated and visited your blog. The purpose of this feature is to get to know new blogs, gain followers and follow as many as possible. 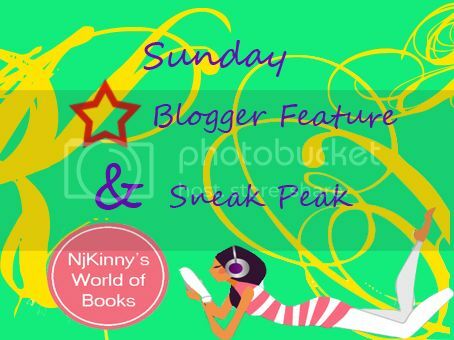 (Required) Follow the Host (Njkinny's World of Books) and the Featured Blogger. If someone comments and says they are following you, be a dear and follow back. Spread the Love...and the followers. Every week I will select one star blogger from the blogs that comment on this feature and feature their blog here. 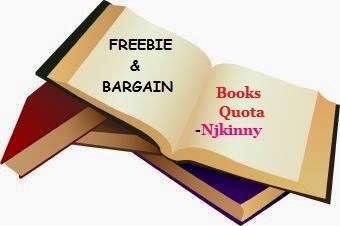 Welcome to Njkinny's World of Books, Feli! My name is Felicitia Azalia Deru, but most people call me Feli because my name is too long. I was born on 5 August 1996 and lived in Indonesia for almost 18 years now, never moving anywhere. (I’d love to if I had a chance, not that I hate Indonesia or something) I’m a Christian and my hobby? Reading of course. And drawing. And sleeping. Q2. When did you first get the idea to blog? When did you start this blog? The idea had always been in my mind since 2010 but I didn’t have any strong reason to start it yet (I’m lazy), then on August 2013, I finally made The Four Eyed Cat Reviews because I am hungry for arcs. Lol. Then everything got exciting and I just can’t stop blogging. Q3. How did you come up with this name for your blog? It used to be FLD Reads, FLD as in Felide (my name, Feli Deru) but I thought it was boring so I changed it. Unfortunately, the term 'The Four Eyed Cat' wasn't something that just pops into my head. It all started when I was editing my own picture. I used this application called 'Catwang'. I was meaning to change my head for a cat's head, but apparently, My head are to long for a cat’s, and the only one that fits my head is this cat's head with four eyes. Then, several months later, I decided to make my own book blog and I had no idea what to name it. And I saw my own picture and thought "hey, The Four Eyed Cat Reviews sounds awesome" and walla! Q4. What is your blog about? Books! Reviews and everything else. Mostly it’s about Dystopian and paranormal romance books. Oh, there’s some of my artworks somewhere between my posts too. Q5. What’s the best thing that has happened to you because of blogging? Interviewing authors that you admired!! And getting to know lots of nice book bloggers! Q6. I specially loved your thumbnails. How did you come up with this idea of making thumbnails? What kind of steps do you take to make them? (Super happy that you loved it!) So I was cropping this blog tour banner to fit inside my slider (the love of my life) but when I crop it, it turns out really bad so then I thought “Hey, why not make a new one that fits?” so there you go. I got addicted in making thumbnails after that. There are no steps that I follow, the only thing that I follow is my instinct. I just make it the way I love it. Q7. What are your future plans for your blog? I hope it got more famous (of course) but other than that, I don’t know. 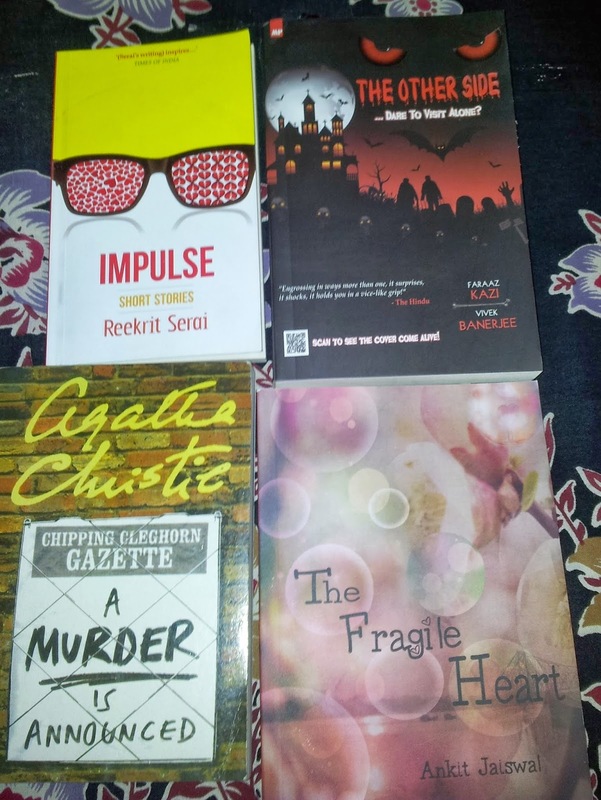 I blog and write reviews for fun! When I was a child and I went to Disney Land, Paris. Didn't remember much but it’s still the best. I rarely went out of Indonesia, but I would really love to go to Greece. Love at first sight or love after a long courtship? So what are your plans for the next week?